Parenting is tough enough without doing things the hard way. I remember when I first learned some of these tricks and how I wanted to sing from the mountain tops the name of the person who came up with them. So, check out this list and make sure you aren’t needlessly doing things the hard way as a parent. 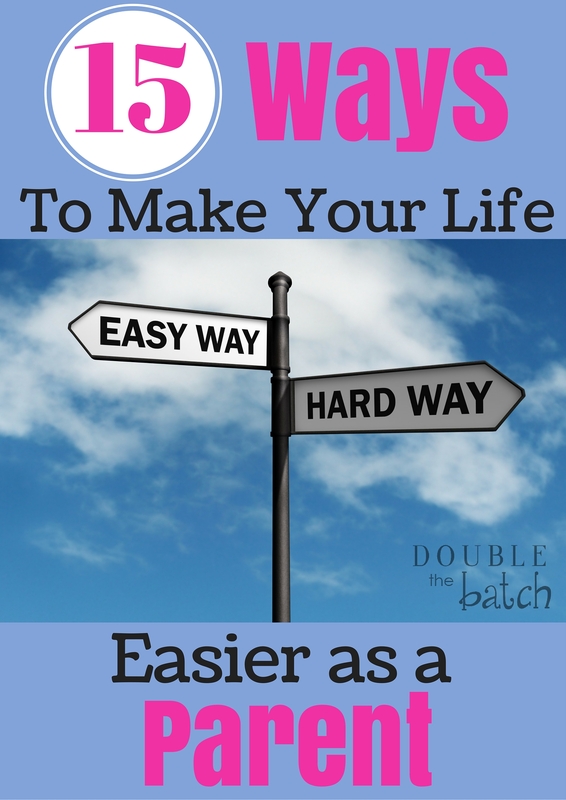 Here are 15 ways to make your life easier as a parent. And if you have something to add to the list, please comment and help us all out! 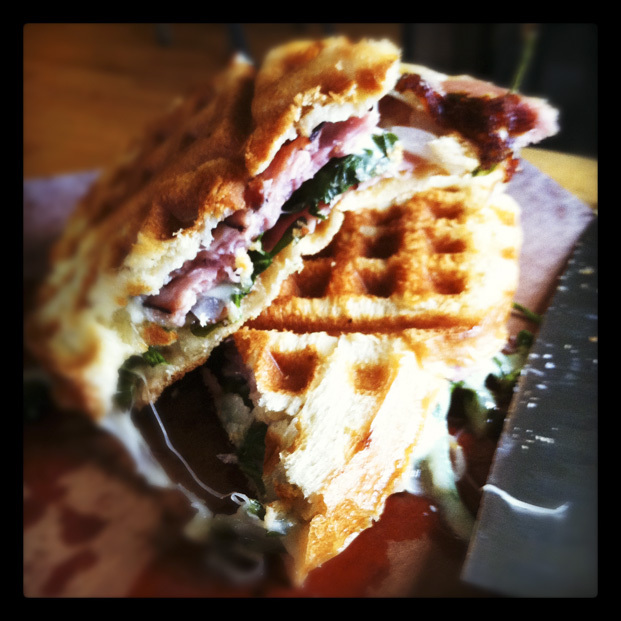 1- If you are still cutting up your kids, pancakes, waffles, etc. with a fork or knife– Just stop! Grab your pizza cutter and cut those babies up lightening fast! 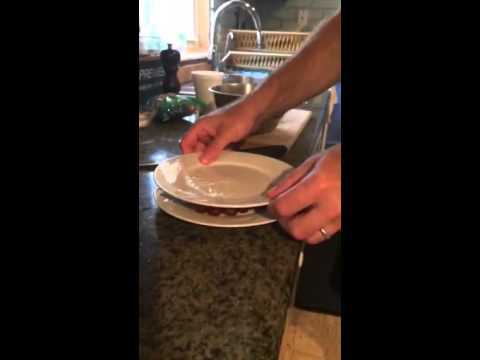 2- Slicing grapes and grape tomatoes down to a non-choking hazard size can be tedious. You may have already seen this brilliant technique, but if not, your welcome. This guy is a genius. 3- Putting away laundry is one of those household tasks that seems too overwhelming to even begin for some reason. I can load and fold, but when it comes to putting away, I hit a wall. Which is why I created a system to keep as many clothes in my laundry room as possible. This also prevents me from re-washing all the clean clothes my children used to leave all over their floor when they rummaged through their drawers to find an outfit. I show you exactly how simplify your laundry situation here. 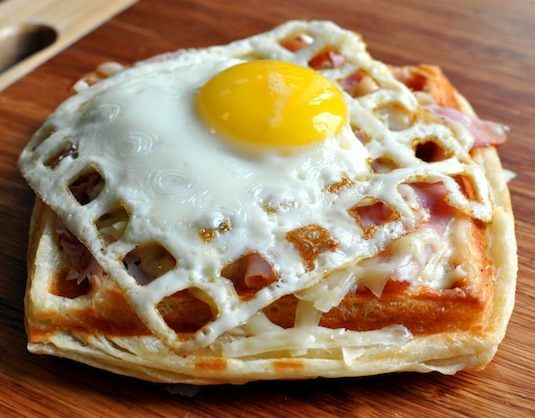 4- Meal planning can be overwhelming. I am terrible at it. I go to the grocery store each week and for some reason when I walk through the door all the meals I know how to make leave my mind and I wander around grabbing the basics, unable to formulate a list on the spot of the things I really need to avoid the 6 o’clock panic moment when I have nothing made for dinner and I am missing at least one ingredient for every meal I can think of. Well, I found this app I really like to help me get my meal planning under control. It is called Spinning Meals. We all know it would take forever to sit and add every meal you may ever want to make your family into an app. So, I just add a weeks worth of meals to it each week. Eventually, I will have a great library of meals in there to choose from. I love how easy it is within the app to find recipes online and capture them. It let’s you either custom plan your week of meals, or it will spin through your recipes and randomly select meals for the week or month or whatever time period you ask it too. 5- Is your counter covered in cups from your thirsty little people who don’t know how to re-use a cup? 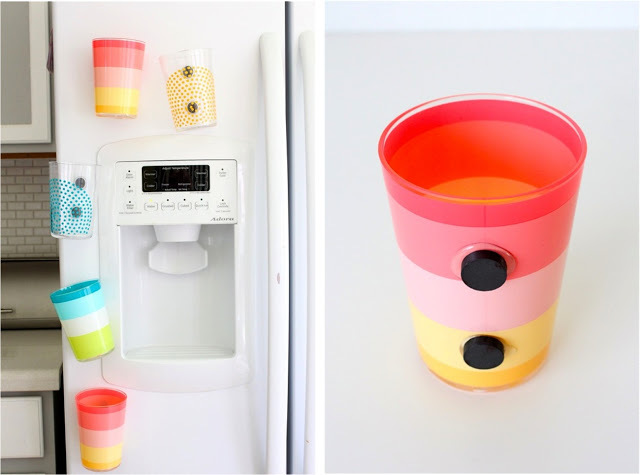 Let them pick out a plastic cup, write their name on it, then glue magnets on it and stick it to the fridge. Pic via danamadeit.com— check out her tutuorial! 6- Do you have a mountain of children’s artwork, homework, and school projects in your house? Do you have boxes and boxes of papers you will probably never look at again, but you feel guilty throwing them away? Take pictures of the projects they are most proud of and make a photo book online for them of all their projects. Then you can throw all that stuff away and not feel guilty about it. They will love the book so much they won’t even care, and the book will last much longer than their actual project. 7- Is your house overflowing with toys and is it becoming nearly impossible to keep your kids’ rooms clean? Here’s what you do. Give them a bin or two- whatever you feel is reasonable, and tell them to fill it with their favorite toys. Go through whatever is left over and decide if it needs to be thrown away (which I recommend doing in the dead of night when they are sleeping soundly 😉 ) or given to a nearby second hand store. The rest of the toys that they feel they cannot part with go in a separate bin that will go into storage. Then twice a year, have a toy exchange day where they can go through that bin and switch out any toys they wish. It will feel like Christmas to them! 8- Keeping a car clean with kids is somewhat impossible, but here are some ideas to improve the situation a bit. 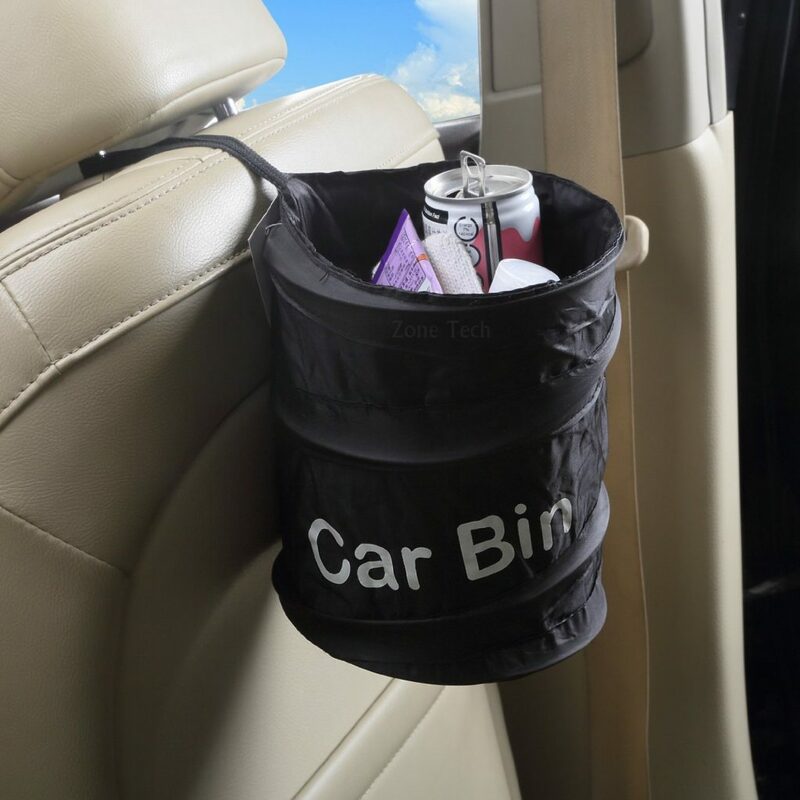 First, hang small garbage bags behind each headrest so there is always an easily accessible garbage for them to put their food wrappers and such in. Next, buy waterproof seat protectors to keep them from staining the seats when they spill and to protect the seat against the terrifying, but inevitable couldn’t-get-to-a-bathroom-fast-enough accident. If you want to spend the money for custom seat covers, by all means, go right ahead. But, I’m to cheap for that. I just go with the waterproof pet protection covers. They get the job done at a fraction of the cost. Pick up a small cordless vehicle vacuum that you can keep on board and use at a moments notice. We all dread having to unload the kids and their car seats in order to vacuum out the car… which is why for most of us it becomes a quarterly… who am I kidding– semi-annual event. Usually, it happens the night before I am scheduled to drive for a field trip if I’m honest. And throw some Armor All Wipes in there as well so they are handy and ready for action. Really, you still have an uphill battle on your hands, but taking these steps will make it a little easier to keep the car clean. 9- Ok- helping your little one wash their hands is this awkward experience involving you trying to balance them on your knee while helping them rub the soap between their hands, usually squishing their insides against the counter in the process. Let me make it easy for you. 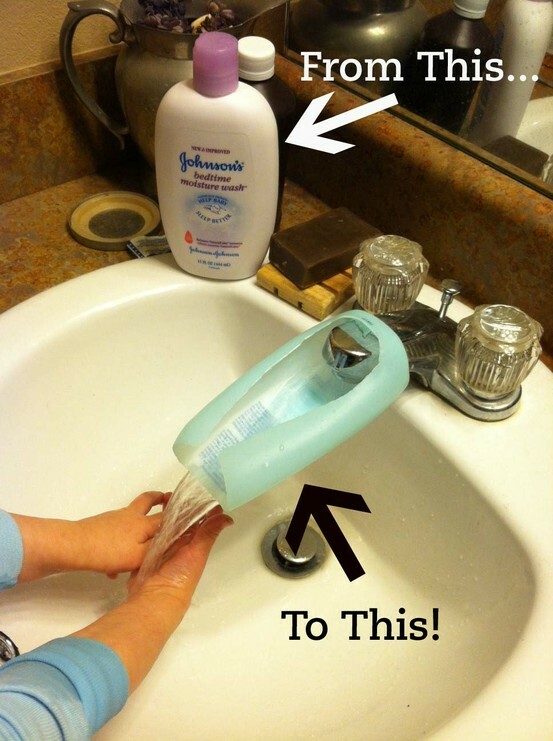 You can buy this awesome little faucet extender or make your own out of a lotion bottle. Let them do it all themselves. Much easier. 12- It is difficult to get your kids to eat vegetables. Here is a trick that seems to work for most kids. Cut things like carrots, celery, etc into really small pieces. For some reason, the smaller they are, the more willing kids are to eat them. I’m talking take one mini carrot and cut it into 8 slivers and see if they won’t give them a shot. 13- Picking up all the legos after your kids have a lego fest is a HUGE pain. The swoop bag is the answer! It will make cleaning up any small toys your kids are into at the moment a breeze! 14- How many times have your children spilled milk on your cloth covered chairs? It is such a pain to clean up and they start to smell after a while. So gross. They are really easy to cover in plastic though! 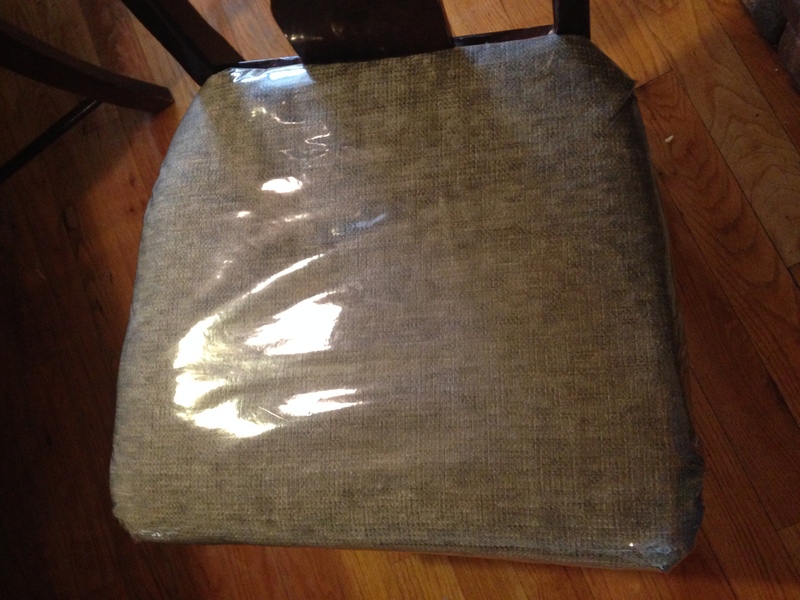 Just go to your local craft store and pic up some medium mil plastic, cut it in to squares 6 inches wider than your chairs, unscrew your cushions from your chairs, staple the plastic tightly to the bottom of the chairs, and screw them back on. Now they can spill and you won’t sweat it! 15- Finally, are you suffering through the experience of taking your children out in public places? They can be so hard to deal with at the doctor’s office, post office, grocery store. Well, Katie has you covered. Read her great post on how to keep your child quiet and happy in public places for a bunch of great tips to make this experience easier on you. Hopefully, I’ve given you a few ideas to make your life easier. I also found a bunch of great products they have on the market now to make our lives easier as parents. You can check them out here! And Bonus tip!! If you have a daughter who screams every time you brush her hair, ohhhh do I have the answer for you. You MUST get this brush. It will change your life. You’re welcome. You Know You’re From A Big Family When. . .